Our culture has become obsessed with the health of our bodies and it seems as if a day does not go by in which there is a new diet, revolutionary new treatment, or a cutting edge medication that could forever change the way that we live. Even with all of this focus on health, millions of Americans still neglect one of the most important components of their body: their mouth. This is why our West Hollywood dental exam dentist is proud to be able to offer patients a full line of general and preventative dentistry services in order to protect one’s teeth and gums for a lifetime. Research continues to be released that outlines the importance of a regular dental exam in West Hollywood or other areas. Patients that suffer from gum disease and tooth decay are going to find themselves at a much higher risk of being diagnosed with serious health conditions elsewhere in the body including diabetes, coronary heart disease, and even various forms of cancer. The absolute most efficient way to avoid these serious ailments is by seeing our West Hollywood dental exam expert at very frequent intervals. During these semi-annual checkups, we will be able to provide you with X-rays, a thorough oral examination, and a professional teeth cleaning. These few simple steps will allow us to catch any serious issues at an early stage. The comprehensive teeth cleaning that will come as part of our dental exam in West Hollywood will also allow us to remove plaque and tartar build up that could result in diseased gum tissue and acids, that will eat away at the enamel of the teeth. 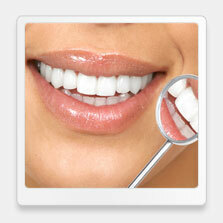 The services of our dentist in West Hollywood do not end with a basic checkup though. Our friendly staff is here to assist you with any number of services ranging from dental implants and crowns to chairside whitening and Lumineers. The oral health of you and your loved ones is never something that should be ignored. Whether you are looking for a quick checkup or a full mouth reconstruction, we are ready to help you achieve a world-class smile that is going to last a lifetime.